Twitter has grown to a major social media site, but it may still be a mystery to some small business owners. Some overlook it because they think only major brands that have lots of resources can gain business from marketing through it. Others still think it’s just the new and cool fad of the self-absorbed youth. While these may be the groups that dominate the realm of Twitter, it is still a great tool for small businesses. Even when not completely mastered, it’s full of opportunities for small business marketing. Here’s how to get started and understand marketing on Twitter. Just like before any marketing campaign you have to do background research on who you are targeting. Then create a plan on how to best create content that will attract sales prospects. If you already have an established business you can pull some of this information from what you already know about your current customers. However, a great advantage of Twitter is the wealth of information it can provide to you. 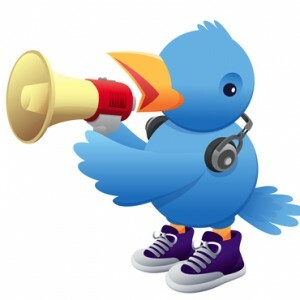 Start by following influential tweeters in your industry and check out some of your competitors. Make sure to pay attention to what they are talking about and how. When planning your content take into consideration if particular topics get more attention or if the language used makes a difference in the audience reaction. Work in what you think will work best with your branding strategies. Just like with most media, Twitter gives you only seconds to convey what you’re all about. Your avatar, background, and description go along way into whether people will follow you or not. The images you use should be correctly sized and appropriately associated with your business. Make sure your biographical information accurately describes your business and what you do, and make sure to proof it for grammatical or spelling errors. If you can’t handle creating a professional image on a site that teenagers have mastered and dominated, people will not trust in your skills to provide them with the best products or services in any industry. The first source of confusion for some is the hashtag. These are simply a way to highlight keywords in your tweets. The use of a hashtags ensures your tweets come up when people search for particular words. They also function as clickable links to automatic searches. However, use too many or irrelevant ones and you can easily be mistaken for spam. There are no spaces between words so keep them short and sweet. The retweet feature allows users to share your tweets with their followers and is thought of as a public endorsement for the original tweeter. You can directly reply to somebody with an @reply.These tweets beginning with “@username” can be generated automatically using the reply button. This creates a link to them in the tweet and they will be alerted to it. When not replying to somebody you can still link to them with “@username” anywhere in the tweet, this is called a mention. Lastly you can include pictures, videos and links into tweets. This helps to create more interactive and engaging tweets for your audience. As mentioned earlier, Twitter is not just a useful tool for one way communication. Always respond to any tweets directed at you, it’s worth showing that you are actually listening to your audience. Also keep track of the reaction to your tweets. For example, what content is being retweeted, are followers clicking links you post and have you gained followers after particular posts. Pay attention to any kind of patterns you see emerge then make adjustments to optimize on the most effective content and strategic moves.